And here is a picture of a commercial CCSRE ready for field work. What is often referred to as a pipe-to-soil potential is actually the potential measured between the pipe and the reference electrode used to make the measurement. The soil itself has no standard value of potential against which the potential of a pipe can be measured independently. 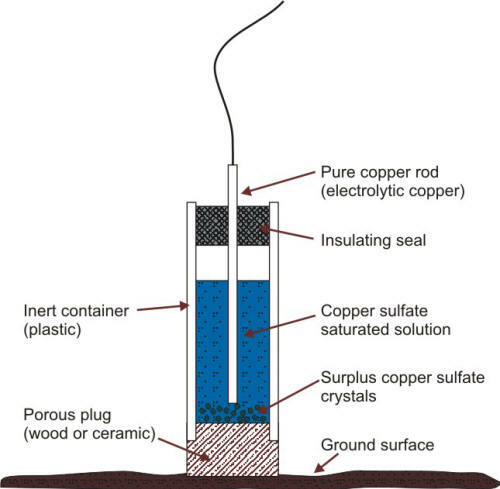 Figure 4.4 – Commercial copper/copper sulfate reference electrode. The half cell potential of a CCSRE is dependent only upon the electrochemical equilibrium established between Cu and its ions in solution as shown in equation and in its corresponding Nernst equation. For Cu in a saturated Cu/CuSO4 solution, this equilibrium is influenced modestly by temperature and not at all by other factors except for light. Therefore, this reference electrode has a constant half cell potential, making it reliable for field potential measurements. 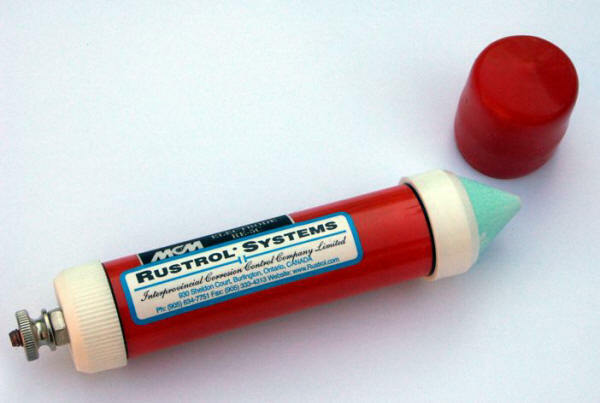 A saturated CCSRE can be fabricated with a solution of copper sulfate made with 40 g of CuSO4.5H2O in 25 mL of distilled water. The saturated solution should contain approximately 260 g/L of CuSO4 at 22oC.